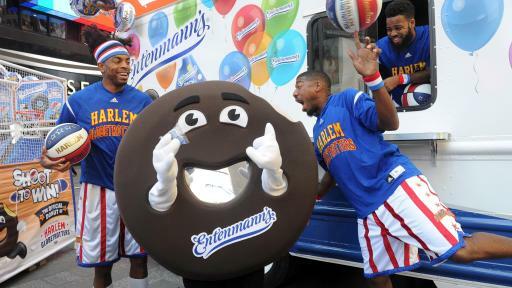 Enter for a chance to win FREE Entenmann’s Donuts for a year! 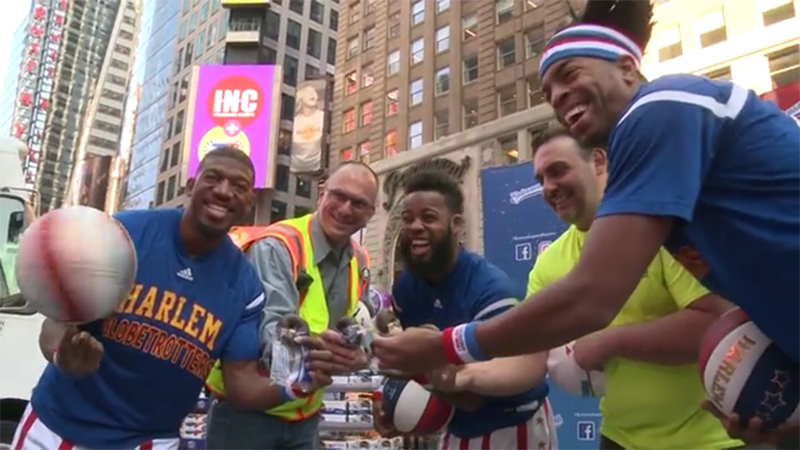 Islandia, N.Y., June 2, 2017 – Entenmann’s® Bakery, a division of Bimbo Bakeries USA, brightened the day of thousands of donut fans as they celebrated National Donut Day in the heart of Times Square along with the world famous Harlem Globetrotters. 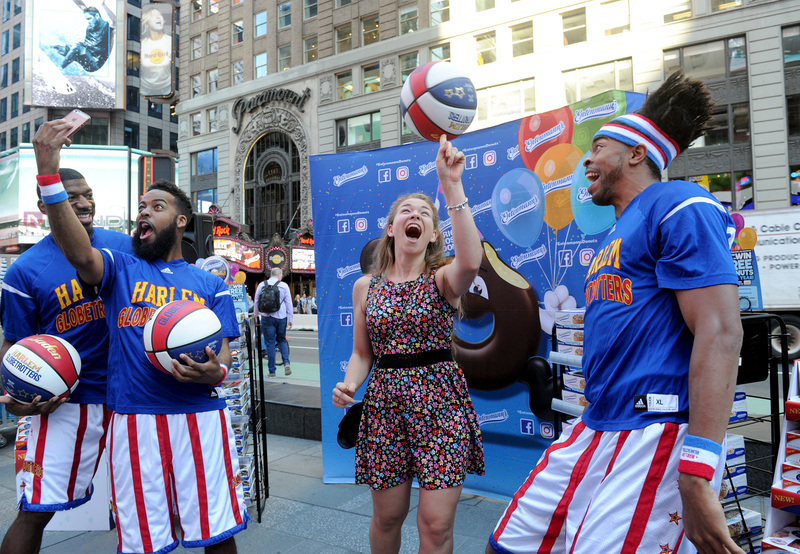 The donut-filled party was jam-packed with games, performances by the Globetrotters and, of course, delicious Entenmann’s® Donuts. 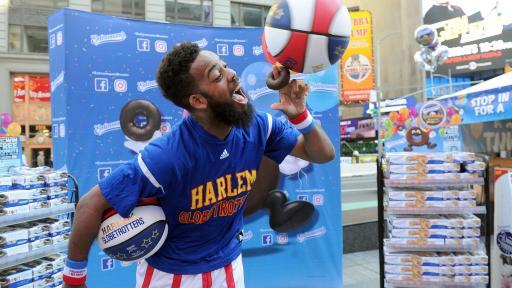 At the event, the brand also showcased its newest specialty line, Entenmann’s® Donut Shoppe Donuts. The new product, featuring a colorful new top iced coating and sprinkle topping, debuted at retailers in the Northeast, Metro and Midwest regions this past April. Entenmann’s history dates back over 119 years to 1898 when William Entenmann opened his first bakery in Brooklyn, New York. By the 1960s the company was selling delicious donuts throughout the New York metropolitan area; by the 1970s it began selling nationwide. Today, Entenmann’s markets over 100 different baked goods in the U.S., producing 780 million donuts a year – one of which is the #1-best-selling classic Entenmann’s Rich Frosted Donut introduced in 1973. Bimbo Bakeries USA (BBU), headquartered in Horsham, PA, is the nation’s leading baking company providing the highest quality baked goods at a great value to customers and consumers. This includes well-known brand Entenmann’s®, producer of top quality donuts and cakes since 1898. Our team of 22,000 U.S. associates operates more than 60 manufacturing locations in the United States. Over 11,000 distribution routes deliver our leading brands such as Arnold®, Bimbo®, Boboli®, Brownberry®, Entenmann's®, Freihofer's®, Heiner's™, Marinela®, Mrs Baird's®, Nature's Harvest®, Oroweat®, Sara Lee®, Stroehmann®, Thomas'®, and Tia Rosa®. 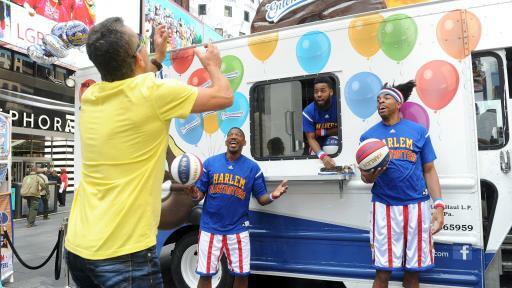 BBU is owned by Mexico'sGrupo Bimbo, S.A.B de C.V., the world's largest baking company with operations in 22 countries. 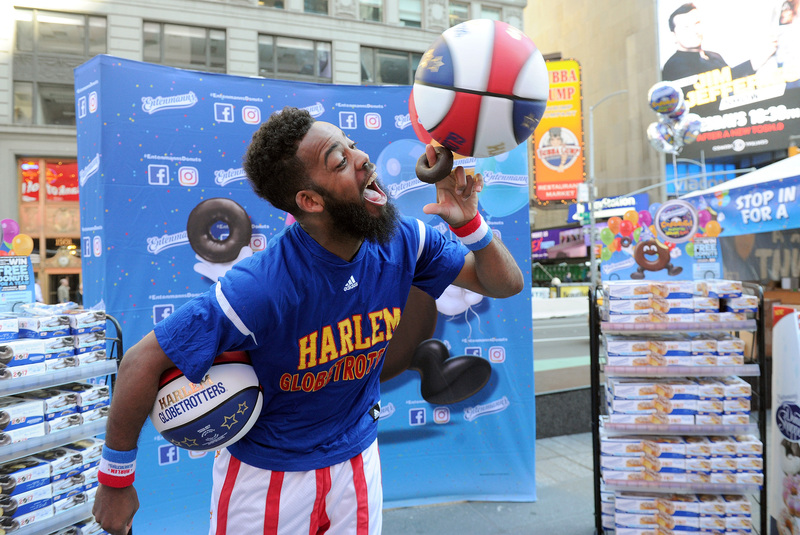 The Harlem Globetrotters® are legendary worldwide, synonymous with one-of-a-kind family entertainment and great basketball skills for the past 90 years. 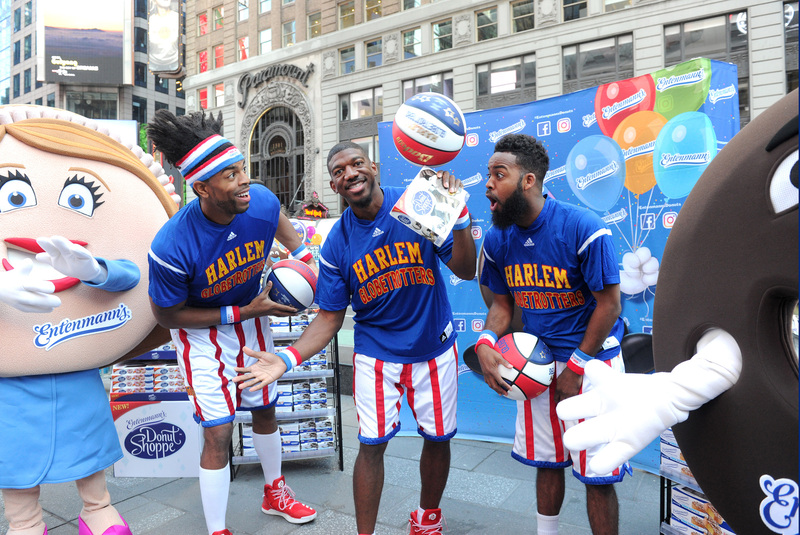 Throughout their history, the Original Harlem Globetrotters have showcased their iconic talents in 122 countries and territories on six continents, often breaking down cultural and societal barriers while providing fans with their first-ever basketball experience. 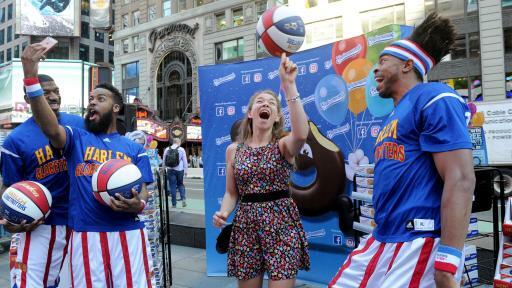 Proud inductees of the Naismith Memorial Basketball Hall of Fame, the Globetrotters have entertained hundreds of millions of fans – among them popes, kings, queens, and presidents – over nine thrilling decades. 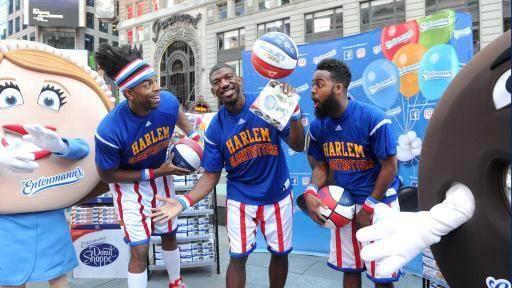 The American Red Cross is the official charity of the Harlem Globetrotters. 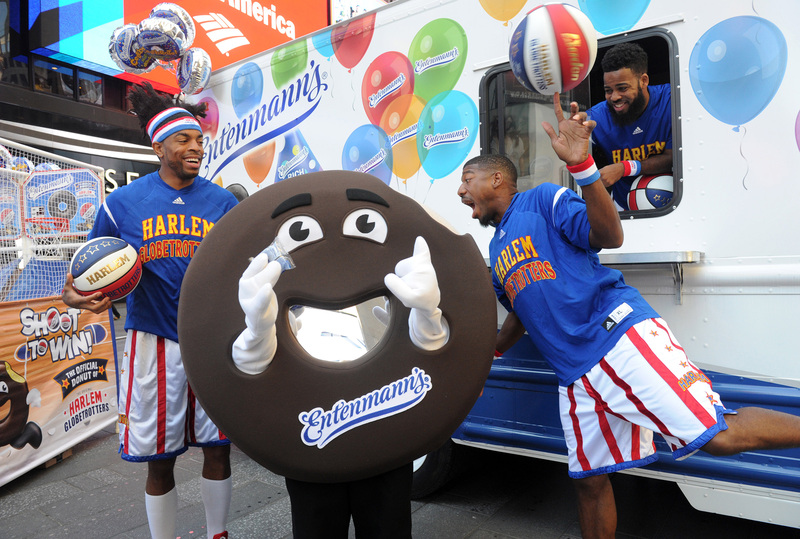 Sponsored by Entenmann’s Donuts®, Ticket Galaxy and Baden Sports, Harlem Globetrotters International, Inc. is a wholly-owned subsidiary of Herschend Enterprises, the largest family-owned themed entertainment company in the U.S. For the latest news and information about the Harlem Globetrotters, follow us on Twitter @Globies.